For an additional charge you can have your Everlite Safety Vests printed with your organization's name. Give us a call to discuss pricing and design. The photos above are of some of the more popular requests. We usually keep some selections such as "Police" and "Sheriff" in stock for quick delivery. 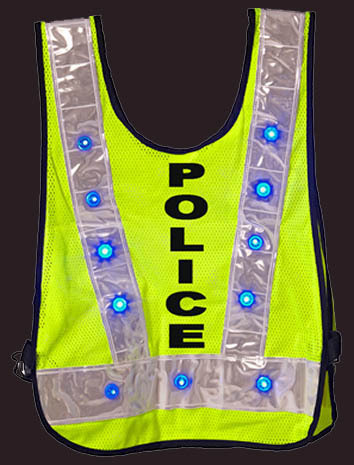 Give us a call to order your custom Everlite Safety Vests.